Download the #1 movie ticketing app. 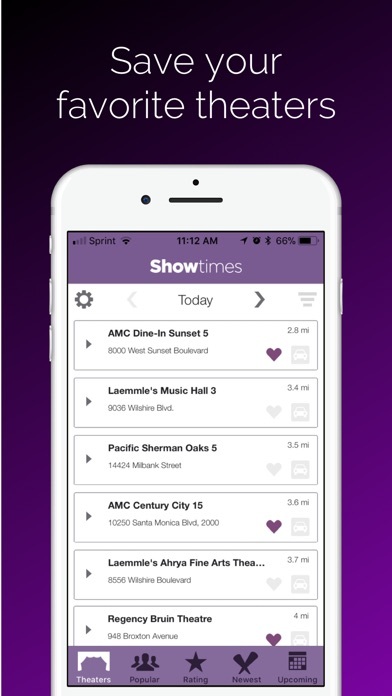 Showtimes is an all-in-one app for film lovers that simplifies the hassle of buying movie tickets. 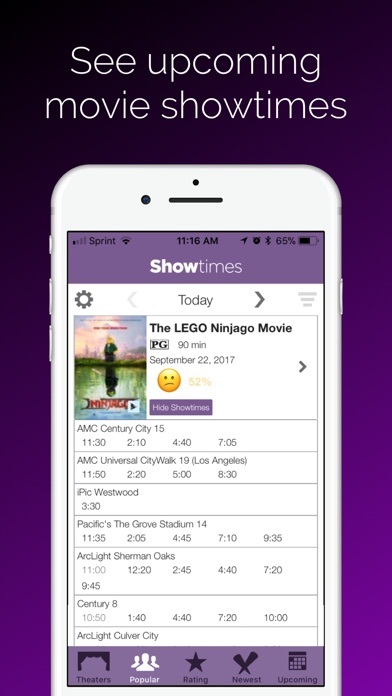 Grab the latest showtimes and buy your tickets within minutes to avoid box office lines -all from your iPhone. 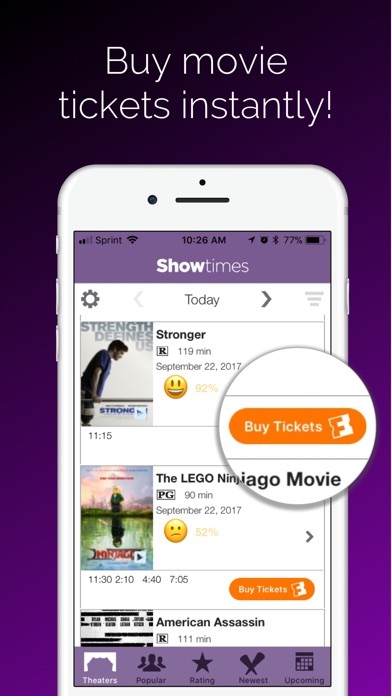 In seconds, Showtimes recognizes your location and connects you to every movie now playing near you. Browse for movies based on genre, rating and popularity in any location. Still want to do more research into the movies you love? 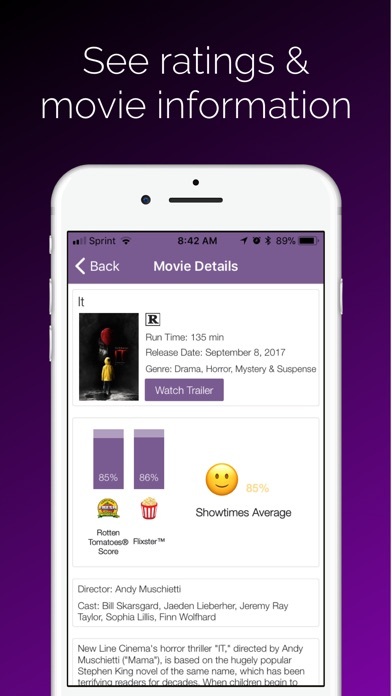 Play trailers directly from the app and access reviews by Rotten Tomatoes and descriptions to discover the most popular, highest rated, new movies. 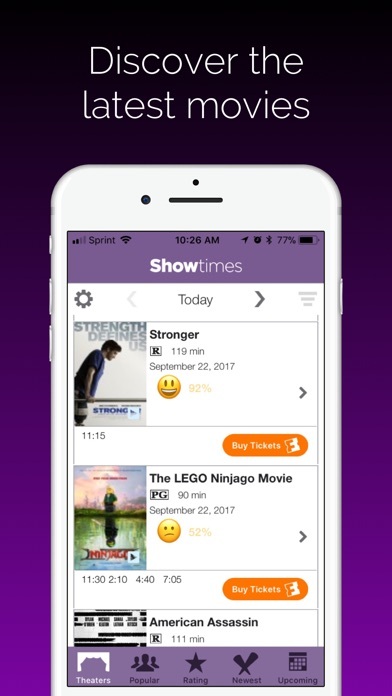 Make Showtimes your go-to entertainment app for local theaters, movie tickets, trailers, reviews and more. Now you'll know what’s playing every night. - FIND THE PERFECT MOVIE: Easily filter by genre, popularity, rating, new releases, MPAA movie ratings and new releases. Browse Metacritic and Rotten Tomatoes scores and watch trailers. - SEARCH BY LOCATION: Find theaters near you, view them on a map and get GPS directions. Place your favorite theater right at the top of the list. - BUY TICKETS: order guaranteed advance tickets through Fandango and skip the lines. “I tend to be a movie junkie, so this little application uses your current location to find the nearest movie theaters and shows you the show times. Enough said there — A+.” - MikeTHIS! Another round of bug fixes and performance improvements!